Part Number: C6011. RC Switch JR 1 x Male / 1 x Female JST JR. Male and female servo connector. 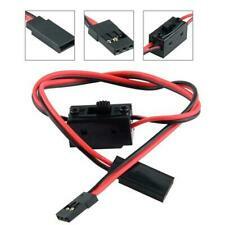 1 x RC Car Light Switch. Suit for 1:10 1:8 RC Model Car. Suit for: 1/10 1/8 RC Model Car. Due to the light and screen setting difference, the item's color may be slightly different from the pictures. 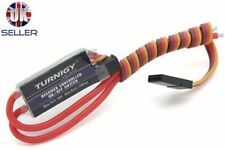 Heavy duty Rc switch receiver battery Futaba/JR connections Really good quality heavy duty switch. Suitable for all types of RC planes big or small. Part Number: 8142. Features spare port (for use with a female JR connector) next to switch can be opened or closed (slider next to switch). Large On Off Switch JR Connectors with LED. Fitted with 3 pin connectors (JR type), Wires are brown, red and orange. Part Number: 8019. Features 2 futaba male connectors and 1 female futaba connector. Large On Off Switch Futaba Connectors with spare male plug. Fitted with 3 pin connectors (Futaba type), Wires are black, red and white. Part Number: A10004B. On Off Switch Cover - Blue. Part Number: A10004R. On Off Switch Cover - Red. Plug the single lead into one of your spare channels for switching lights, bomb dropping, smoke systems, canopy operation and other low current applications. I think the ideal setting would be 90% travel if using a switch on a transmitter. Suitable for JR/FUTABA RC Boat Car Flight. 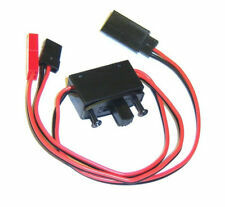 Type: RC Power Switch. 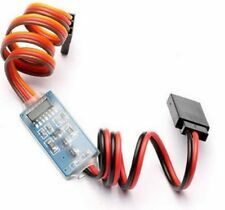 1 RC Power Switch. The plug is universal for JR. Adopting red and black soft silicon wire, which is high temperature resistance. If you do not receive our reply within 48 hours, pls. Futaba compatible but can also be used with other types of radio systems.